These workshops are suitable for people with bridge cameras, D-SLRs or mirrorless cameras – the ones with the interchangeable lenses. Are you new to using a SLR or mirrorless camera, using it mainly on AUTO and don’t know what all the menus and buttons do? You like photography and want to get some great pictures when you’re out and about, with family, on holiday and during special occasions? You might be wondering whether you need to buy any new lenses or a tripod and want to avoid costly mistakes? 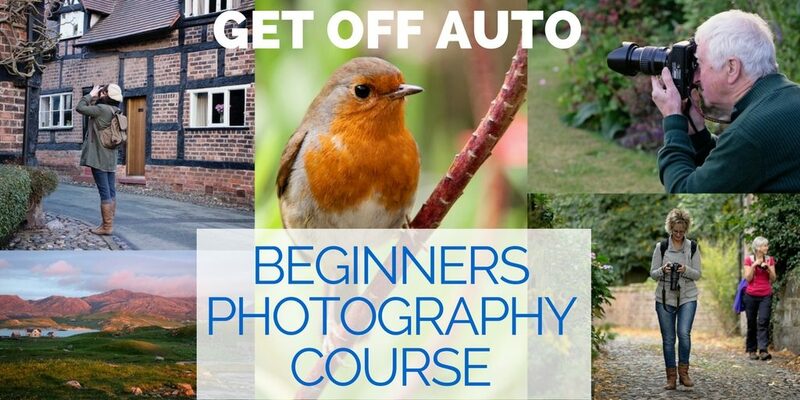 If this is you then you’ve found the perfect workshop, combining a “classroom” session to get you confident using different camera settings, and a practical session outdoors in the nearby picturesque village of Great Budworth (weather permitting). The best kit to get you started (without spending a fortune). How to shoot in all sorts of light conditions (indoors, outdoors, daytime, sunset, nighttime) and how to find the right kind of light for your shot. The best camera settings for different situations: portraits, action, landscape, still life, close up. How to do simple edits, such as cropping, straightening, adding text and more, using freely available software. How to share and display your photographs. 10.00am-4.00pm. Light lunch and refreshments included. Venue: near Northwich, Cheshire, in a purpose-built natural light studio (unless otherwise stated).